يقع فندق Noosa River Retreat في منطقة تتمتع بمعالم كثيرة، وتعتبر المكان الأنسب لاكتشاف هذه المدينة رائعة الجمال و ما يحيطها. يمكن من هنا للضيوف الاستمتاع بسهولة الوصول إلى كل ما تقدمه هذه المدينة النابضة بالحياة. إن سهولة الوصول من الفندق إلى المعالم السياحية الشهيرة الكثيرة في المدينة هو استثنائي بحد ذاته. إن الخدمات التي يقدمها Noosa River Retreat تضمن للنزلاء إقامة مريحة. يقدم الفندق تسجيل وصول/خروج سريع, تخزين الأمتعة, صف السيارات, التوصيل من وإلى المطار, غرفة عائلية لضمان الراحة القصوى لضيوفه. يمكن للنزلاء الاختيار من ضمن مجموعة من الغرف المصممة بعناية لتعكس جواً من الراحة، والتي يتجاوز عددها 18. كما أن مجموعة الخدمات الواسعة الموجودة في الفندق لضمان راحتك تترك لك الكثير من الخيارات لقضاء وقتك أثناء فترة إقامتك. مهما كانت دواعي سفرك فإن Noosa River Retreat هو خيار ممتاز لإقامتك في المدينة. هناك تصاميم مختلفة في الشقق، وقد يختلف تخطيط الغرف وزخارفها عن الصور. يُرجى الاتصال بالعقار لمزيد من المعلومات. Sandy and Steve could not have done more to make our visit truely memorable. The accommodation was spotlessly clean, equiped with everything anyone could have asked for, was perfectly located for shopping, the riverside, the sea and the bus stops for going further afield. The pool, spa and bbq areas were all superb and the beautiful gardens were a delight to see. I would really like to thank them for their support and empathy when we received some disturbing news from home, they did everything they could to help us out. During our visit we had some local freinds come to visit us at the resort and they were astounded at what they found. 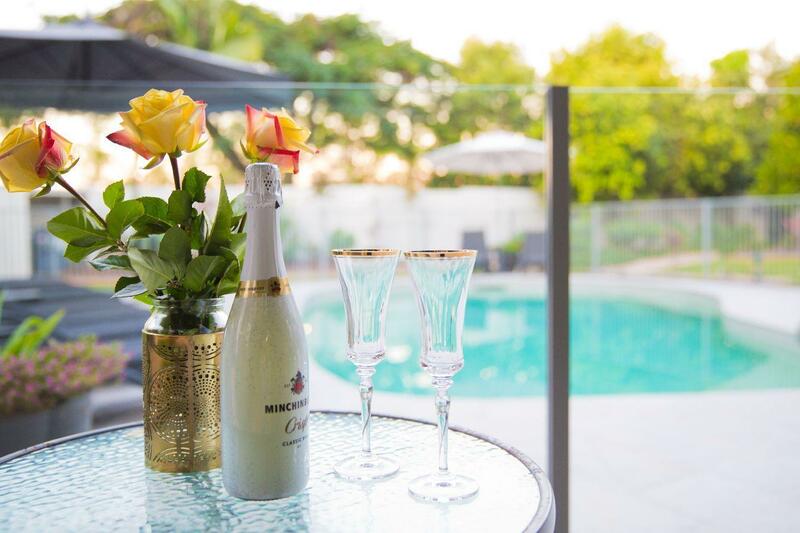 They have already said that they will be recommending Noosa River Retreat to all future visitors. Our apartment was very clean & spacious & had everything thing we needed for our 6 day visit, great location. Steve was very helpful & nothing was a problem for him. Would certainly stay here again when we come to Australia to visit our grandchildren. Only downside was lack of internet provided. Very friendly and helpful staff, had a late checkin and they made it an easy process to get to my apartment. Great value for money, the perfect sized room and bathroom. A very quiet location and can’t hear a sound from surrounding rooms, everything about the Noosa River Retreat was perfect, will definitely be staying there again when we are travelling back up that way, couldn’t recommend it more, very affordable price for such great quality! Great rooms, Friendly staff, lovely & clean. Road noise is terrible even with ear plugs in & sadly requests to move to quieter room ignored twice even though guests left during our stay there, meaning we could have moved rooms. Block of 8 units on our side of the pool are closest to busy roundabout and 2 roads (1 one each side of property) converge there so very busy & noisy. Often starting at 4.30-5am week days as many people commute down coast to Brisbane of GC. No relaxing or even unbroken sleep as noise very bad. As well as that there was a lot of noise from nearby units above us as well. Also Internet is limited to 1GB for all users in room which is old school & insufficient. Additionally Wifi drops in & out all the time, very patchy & unreliable. This is a pretty basic necessity these days so needs to be changed. Really enjoyed our stay here. Our apartment was modern and stylish and had everything we needed. It’s a short walk down to the riverfront where there are loads of greats cafes and restaurants, and also a short walk to shops to buy groceries etc. Staff were really nice. Just note that pool towels are not provided, so you can either bring some or pay a small fee to hire them. 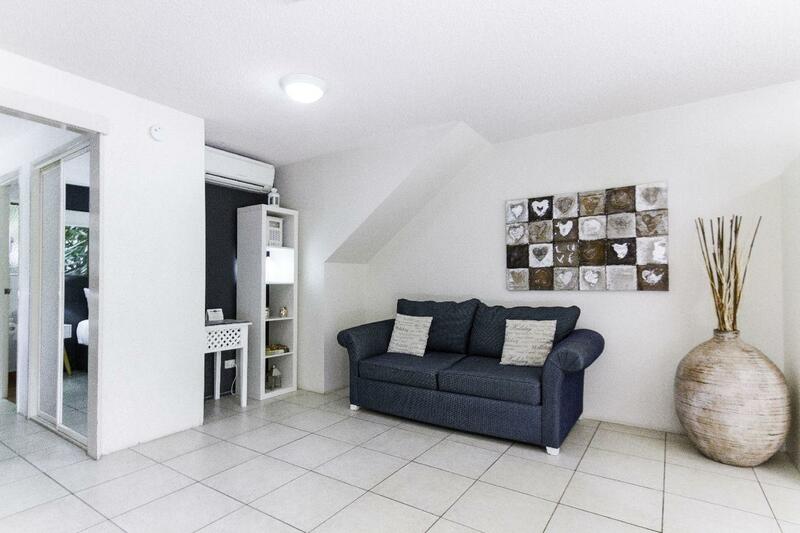 The appartment was clean and spacious and well maintained, I'd certainly recommend this to anyone requiring reasonably priced accomodation in Noosa. It was better than expected. Friendly staff, nicely appointed apartment but being located on a noisy roundabout spoiled the ambience. We had done and lot of sight seeing before arriving here and wanted to relax. Steve and Sandy are friendly and helpful and were very welcoming. The place is just gorgeous. 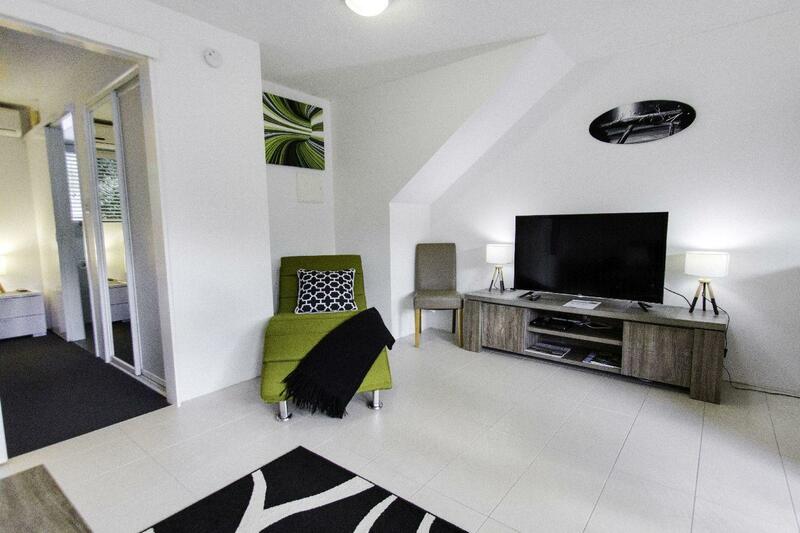 We loved the space, the cleanliness and the decor of our apartment. We were there for 8 nights and could easily have stayed longer. Within walking distance of the river and Gympie Tce with all is activities and restaurants. Noosaville is not as hassled or busy as Noosa Heads. Apartment was very well appointed with everything you need plus Steve was very helpful and friendly. Couldn't of had a more pleasant experience! Andrea was amazing and super helpful. The room was spacious and very clean. Will definitely stay here again! great place to stay for short weekend trip! Very friendly and helpful management. Very clean facilities and good value for money. Had a great stay at NRR. The way the rooms were presented,variety of kitchen and other utensils and layout of the whole complex. The only complaint I have was the noise level. Alot of road noise , noise from the carpark, noise from the stairway and noise from the adjoining units.